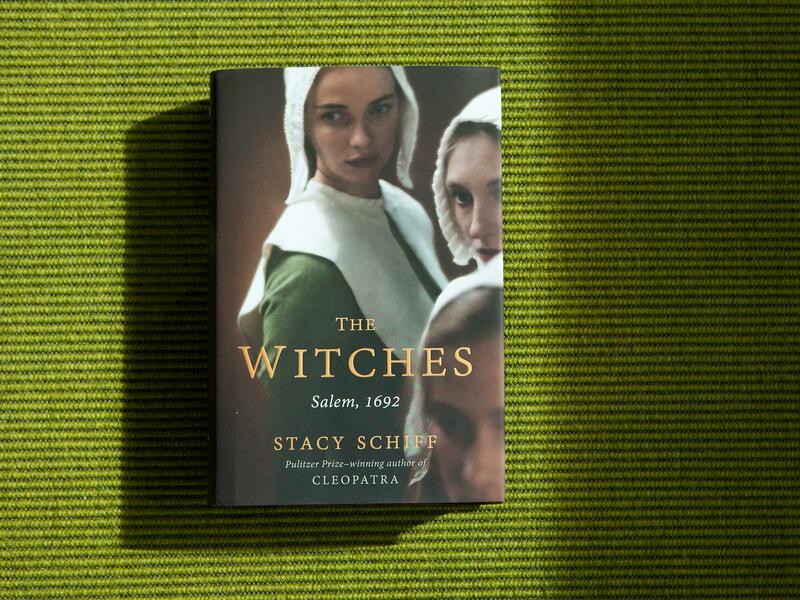 The Witches, by Stacy Schiff. Our thoroughly modern world can't let go of Salem. The communal madness that gripped a small Massachusetts Bay Colony village in the late 17th century still bedevils us — so to speak — over three centuries later. 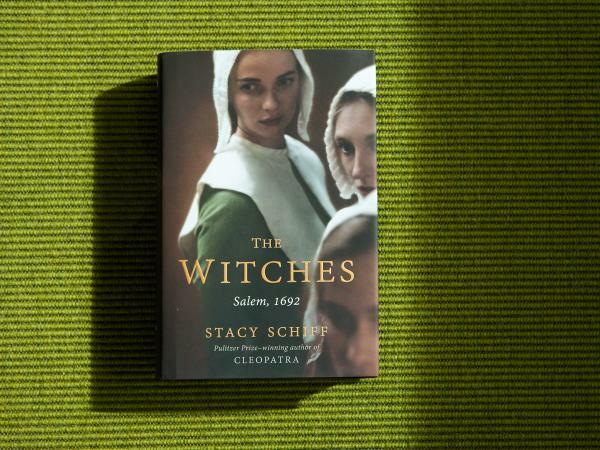 Stacey Schiff's excellent history The Witches: Salem, 1692, measures our continued fascination with the most literal, and most deadly, witch-hunt in American history. 19 people died, almost all by hanging, though one poor soul was crushed to death by stone weights laid upon his chest. As a footnote, two dogs were killed, too, though Schiff neglects to tell exactly how their executions were carried out. It is a rare lapse in an account that is engagingly thorough, thrillingly told and bracingly authoritative. Schiff's last book, Cleopatra, got under the skin of the much-written about Egyptian queen more than any other biography. In The Witches, taking on an equally well-covered subject, she starts with the known facts: From the frigid winter to the boiling summer of 1692, somewhere between 144 and 185 people were accused of witchcraft. The victims ranged in age from 80 to a five year old child, who awaited her fate in jail wearing miniature manacles. Men as well as women fell. "Husbands implicated wives; nephews their aunts; sons-in-law their mothers-in-law; siblings each other." Four of the accused died while awaiting trial in cold and filthy prisons. The accusers, known at the time as the "afflicted," were initially a handful of adolescent girls, but the number expanded as the folly spread. Schiff doesn't judge, enter into their thoughts, or portray them as evil or deluded. She simply describes them according to the court records available from the time: The girls twitched and yelped, writhed and howled; they described diaphanous women perched atop church beams, and imagined women who rode through the air on poles (not broomsticks). Schiff's account gains momentum as the patriarchs of the colony — judges, intellectuals, and clergymen — deliver the innocent to their deaths. In modern parlance, they were enablers of virulent character assassination. The arrogant 29-year-old preacher Cotton Mather figures centrally here, and we learn a lot about his followers and why they believed it their prerogative, for example, to rain terror down upon that little witch-child of five. Witch hunts, of course, come in many guises. Arthur Miller's arresting drama The Crucible refers both to Salem and to the House Un-American Activities Committee hearings going on even as the play was up on the Broadway boards. But Miller's artful portrayal is a day at the beach compared with the real world horrors that Schiff uncovers. Reading The Witches had me looking over my shoulder at my fellow human beings, wondering if they might be just a pitched fit away from pointing a finger at me. High schools mount The Crucible all the time; they might have difficulty doing a play based on Schiff's book. It would be too terrifying. And Schiff is very fine with the who, what, where and how of her subject. On the "why" of the complex business, she is more likely to fudge. Were the afflicted hallucinating? Were they lacking parental supervision? A majority of the bewitched girls, she points out, had lost fathers. Perhaps the weather was to blame. It was punishingly cold that winter, so frosty that the ink froze in the pens. The nights were Bible black. "In isolated settlements, in dim, smoky, firelit homes, New Englanders lived very much in the dark, where one listens more acutely, feels most passionately, imagines most vividly, where the sacred and the occult thrive." It was a time when people still believed in fairy tales, Schiff reminds us, and "women play the villains in fairy tales." In this incisive and terrifically frightening portrayal of a dark time, we get to know what happened. But the why will still keep us up at night.